YouTube is the best platform to grow audience, and many of us know the ways to leverage the demand of the consumers when it comes to creating video content. But there is no hard and fast rule about how to achieve success on YouTube. Leveraging YouTube influencers is one of the best ways to achieve success and reach the goals. When choosing influencers, brands look for some traits in the influencers. YouTube influencers is because marketing campaigns with influencers should increase engagement, awareness, and scalability through reach for the brand. YouTube influencers are true that high profile influencers have more chances, it is also true that brands choose the right influencers. 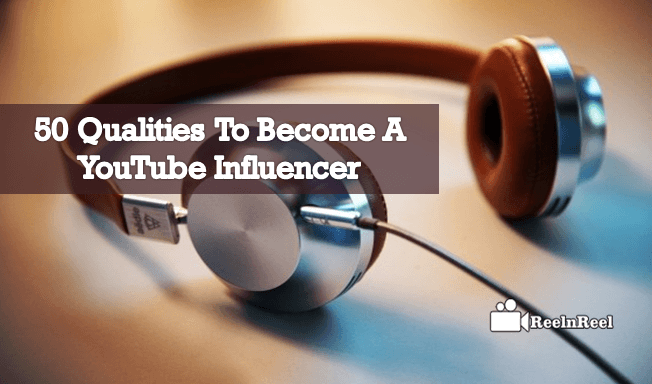 Here are some qualities one must possess to become a successful YouTube influencer. Influencer must be highly knowledgeable about the niche they are working for. Online marketing influencers should have knowledge about SEO, social media management etc. An influencer must put time and effort to build trust. They must also try to build rapport with followers, client and fellow influencers. If long term relationship needs to be maintained with the brand, an influencer should be accommodating. A good influencer must be able to integrate the product into the content carefully so that it does not seem that it is being sponsored. The success of a brand to reach the target depends on the authenticity of the influencer. Influencer must add value to the community. They should use blog posts, video tutorials or collaborations to add value. The content that the influencer publishes should be valuable and should provide solutions. A YouTube influencer must provide a point of view on topics that are interesting to the audience. To be a successful influencer, one must be open minded. Influencer must have a higher social media presence. They should know the best platforms that work for different kinds of content. They should consistently update the feeds. They should embrace the marketing automation tools. Passion towards what they are doing is one of the important quality that influencers must possess. They should be authoritative and innovative. They should focus on helping one another. A good influencer is the one who never expects anything in return and is always ready to help others. Early adoption of technology should be the way of thinking of influencers. They should not be afraid to try new things. Influencers must pay attention to even the smallest things that might help make things bigger. They should build a big vision. Big vision should be the end goal of those who want to become successful influencers. They should stick to their end goals. They should not be disturbed by anything or anyone who gets in the way of the vision. They should validate their vision and prove that they can do the best in whatever they do. To become a successful influencer one must be ready to experiment and find the goals. Influencer must be curious but should not think much about outcomes. Influencers must collaborate with other influencers to reach a new audience. They should be ever ready to take risks with new endeavors. They should take feedback from their audience and should change their ideas based on this. They should be ready to take their career to the next level by adding new things to their portfolio. An ideal influencer is the one who talks about the topic relevant to the brand they are working for. They should be able to identify the people who can convert. They should be able to reach the social media marketers and grow the audience for the brand. An influencer must have the ability to convert people or start a conversation. YouTube influencer should be successful to make people move to take some action. Research is the one thing that helps influencers become successful. A good influencer must listen to his audience and provide them with what they want. Influencers must learn about the behavior, lifestyles, hobbies, and interests of the audience. They should respond to the comments of followers and fellow influencer. They should publish the content consistency. The audience comes to the influencer YouTube channels expecting new content, influencer must respect this and be ready with new content on reliable schedule. They use online webinars to network with a target audience. YouTube influencers must take the advantage of physical networking to connect with influencers offline and to access people of similar interests directly. An influencer must be professional when sending emails or during phone correspondence with the brands. A good influencer must know everything about the brand and products they are working with and should be able to respond to any questions that the audience may ask. Apart from the above-mentioned qualities, a YouTube influence must be committed and spend a time to become an ideal person to work with. The content they create must inspire the audience and should be timeless. Success comes to YouTube influencers if they work hard and this also opens a lot of opportunities. Providing content consistency, keeping in touch with the audience and always getting ready to learn more about the niche are the important things to do to become a successful influencer.